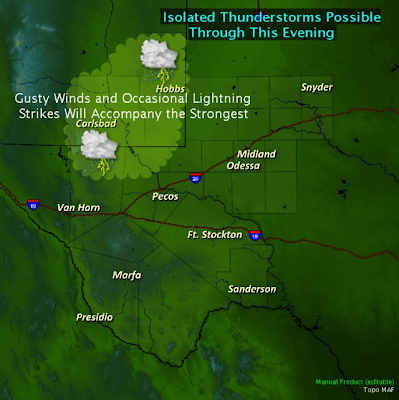 A few isolated t-storms will be possible across SE NM this afternoon and evening, as a couple of weak short waves zip overhead, in the weak northwesterly flow aloft. Don't get your hopes up or get too excited because most of us will not get wet, and if you happen to be one of the lucky few who do, it won't be much. A strong fall-like cold front is forecast by the models to approach the area by the end of next week. They have started their flip-flop routine already on the timing and the strength of the cooler air associated with the front. 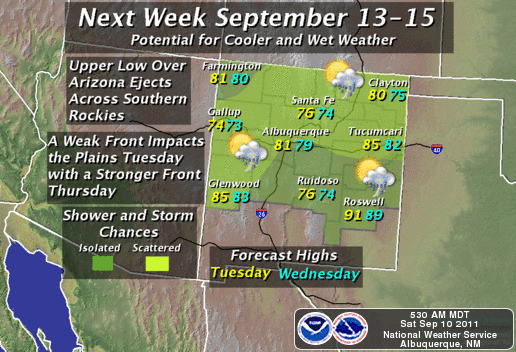 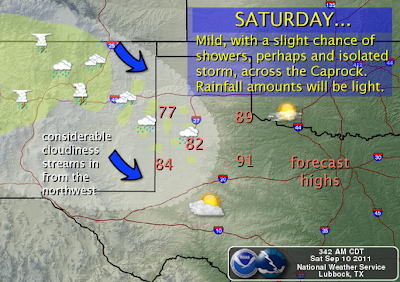 Best guess at this time if that the front will arrive in SE NM around next Thursday or Friday. 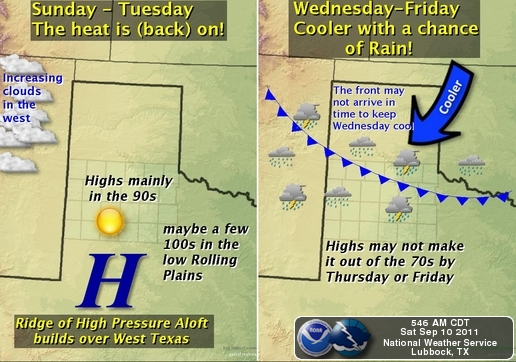 Should this cooler airmass make it this far south, then we will be looking at high temps in the 70's by the end of next week, along with a chance for rain.